Jamaica Blue has arrived at Northlands Shopping Centre! 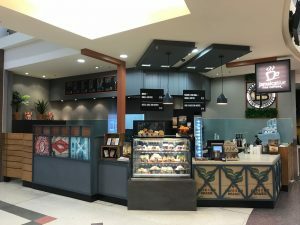 Jamaica Blue Northlands is conveniently located in the food court, ideal for busy shoppers to recharge with one of our 3 specialty coffee blends expertly brewed by our trained baristas. The café also offers a variety of mouth-watering grab-and-go items and sweet treats made with locally sourced ingredients. Come visit us and treat yourself to some time-out at Jamaica Blue Café Northlands.